Why are the new sanctions being imposed on Iran and how effective will they be? With new sanctions being imposed on Iran this week by the United States, these are the questions that are being discussed. President Trump ran on a campaign to reimpose all sanctions, labeling the multilateral deal a sham. The deal, according to him, enriched Iranian adventurism, and flooded the country with extra cash, which was then used to promote Iranian influence in the region. The new measures are supposed to stop any company based in the U.S. from trading with Iran or doing business. Companies are also liable for punishment if they conduct any business with any company in Iran. There will also be sanctions on the banking sector. However, the new sanctions are dead before they even start. The latest developments suggest that the U.S. stands alone in sanctioning Iran, as other major powers have decided that business with Iran is going to continue. For example, the European Union has decided that it doesn't find Iran violating any clauses regarding the enriching of Uranium, the main concern of the multilateral deal, which was ostensibly to stop Iran developing a nuclear arsenal. To stop companies from suffering steep U.S. sanctions, the EU plans to develop a new payment system called a special purpose vehicle, or SPV, to adjust accordingly and avoid the banking and financial institutions regulated by the United States. This is arguably the start of European financial autonomy from American regulations. The three major powers of Britain, France and Germany denounced the sanctions and declared that they don't find Iran to be in violation of any agreement. Russia, the other major partner in the deal also vowed to continue doing business as usual with Iran. In a statement from its foreign ministry, which rejected any unilateral sanction bypassing the United Nations, Russia said that it would do everything in its power to continue to expand trade with Iran, and enhance business and financial ties, despite any threat of sanctions to Russian companies. The U.S. has also had to climb down from its earlier demand of stopping the trade of oil with Iran. Understanding that there's no way to stop the resource hungry countries from doing business with Iran and buying Iranian crude, Washington DC was compelled to waiver Iran nuclear sanctions to eight countries including India, South Korea, Italy, Japan and other allies. The most significant two factors to the ineffectiveness of this new round of sanctions, are Indian and Chinese resistance. India previously faced enormous pressure from the United States, a strategic ally, to ease off buying Iranian crude and play by the Western rules. Indian policy makers are also under pressure not to antagonize the United States. In a sign of early capitulation, for example, India wanted a waiver from the U.S., so that it can continue shipments. 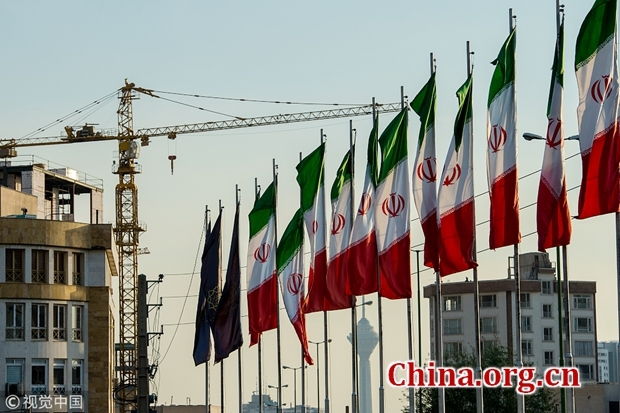 The U.S. has been forced to reconsider imposing sanctions in November on Iranian energy, as China and India, the largest importers of Iranian crude, expressed s disinclination to accept the sanctions. The chief worry for India is that the huge domestic need for Iranian crude cannot be offset by Gulf guarantees, but on the other hand, Indian payments are tied to the American financial system. Overall, this round of sanctions is completely meaningless and is tied to American appeasement of Saudi Arabia and Israel against Iran. It won't serve any purpose either, as the sanctions are almost certain to be bypassed. In fact, the only observable phenomenon from this would be to see if Europe manages to show that European interests with regards to Iran diverge from America's. We can also see if Iran, as an act of retaliation, tries to harm American or Saudi interests in the region, or attempts to continue to look past the Trump administration and continue business as usual with the rest of the world. The Iranian sanctions are dead before arrival and will be easily bypassed by all the major powers.